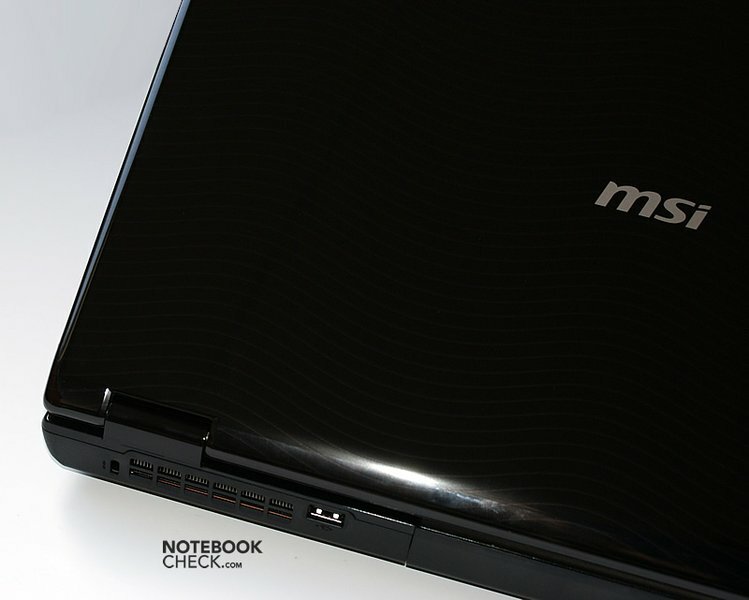 MSI showed some good intuition when they added numerous notebooks with potent GPUs to their range in the first quarter of 2009. 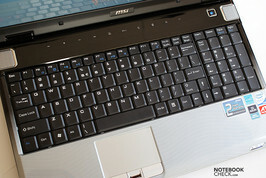 The MSI EX625 was the first laptop with ATI's 4600 series graphics card available on the European market. 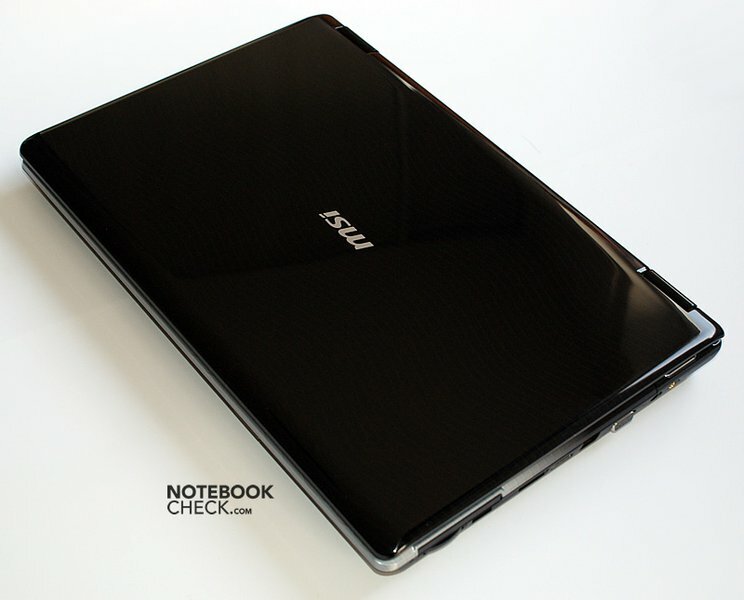 After reviewing it, we can say that MSI overtook its rivals in terms of technology and caught up with them in the field of design. 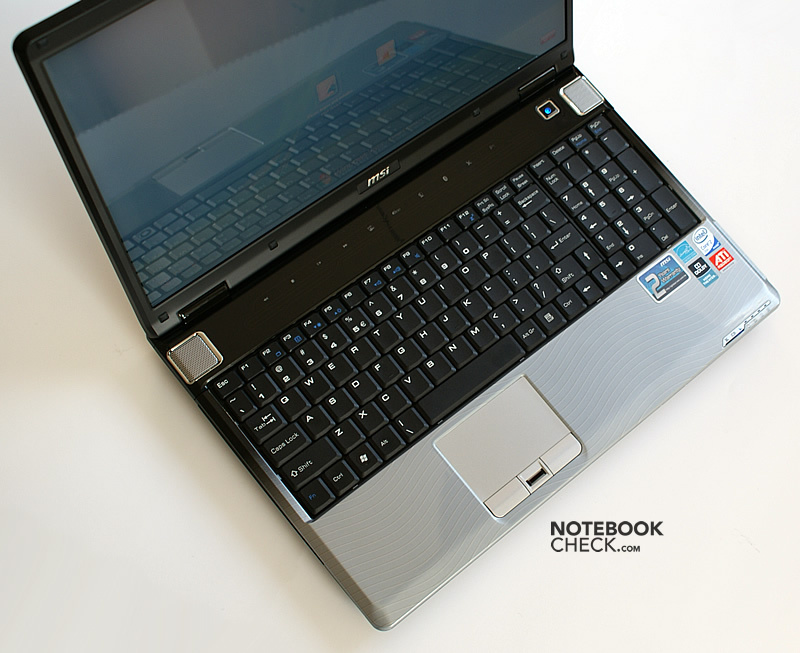 Many thanks to our Polish editorial staff, notebookcheck.pl, who tested this notebook and kindly placed their test at our disposal. The MSI Megabook EX625 is not yet available here (apart from various imported devices), but is supposed to be released in the German-speaking area in the second quarter of 2009 (based on various information). 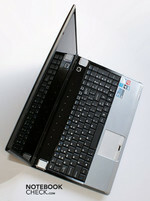 On the whole, the laptop does not diverge from common standards. Its build quality is good, even though the used materials are not first-class. Following the phenomenon of imitating each new design idea thought to attract more buyers, the EX625 does not show off too much regarding this aspect and remains quite similar to its competitors. 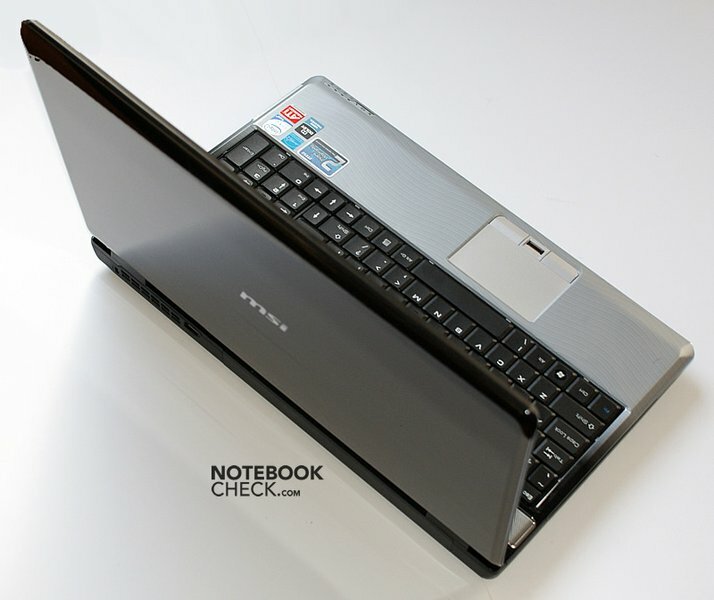 As a matter of fact, the laptop looks almost identical to HP's Pavilion or selected models from Asus. The association that comes up while taking a look at the black lid, embellished with a wavy pattern, is simply straightforward. A similar pattern, of brighter color here however, can be also found at the palmrest. 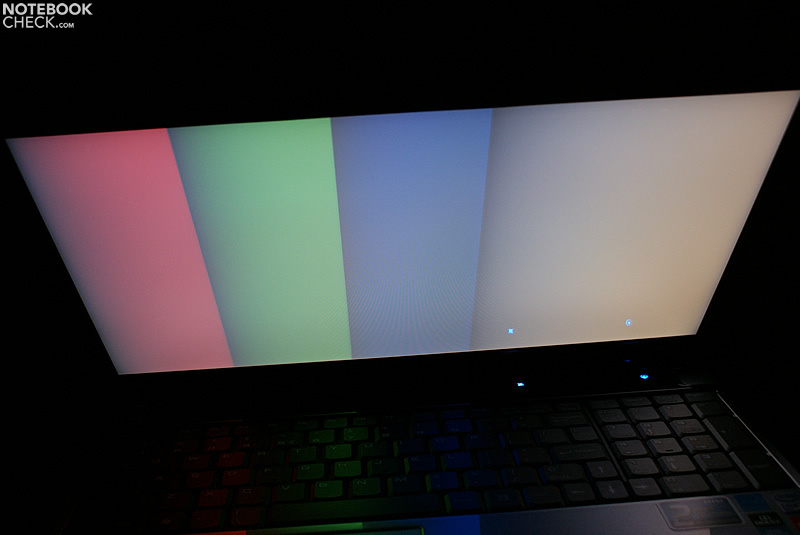 Another common feature of this laptop is a touch sensitive panel placed just in front of its display. Based on numerous reports from users of the EX625, we can confirm it to be springing quite intensively while pressing the sensors, especially in the area around the Eco button. The speakers’ grills, curved downwards in a distinctive and eye-catching way, make the EX625 stand out against other models. Furthermore we have to mention that the case is pretty solid in general. The screen cover springs just a little bit. 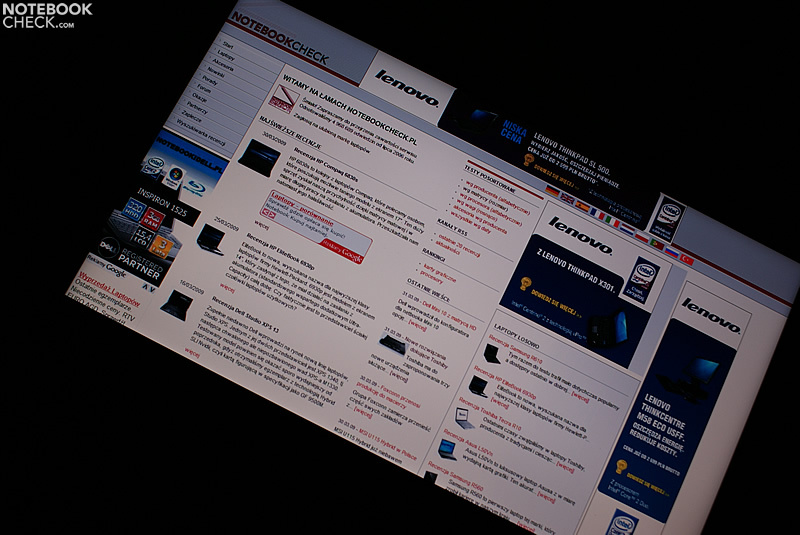 As far as the stiffness of the display’s lid is concerned, the situation is even better - it hardly bends at all. 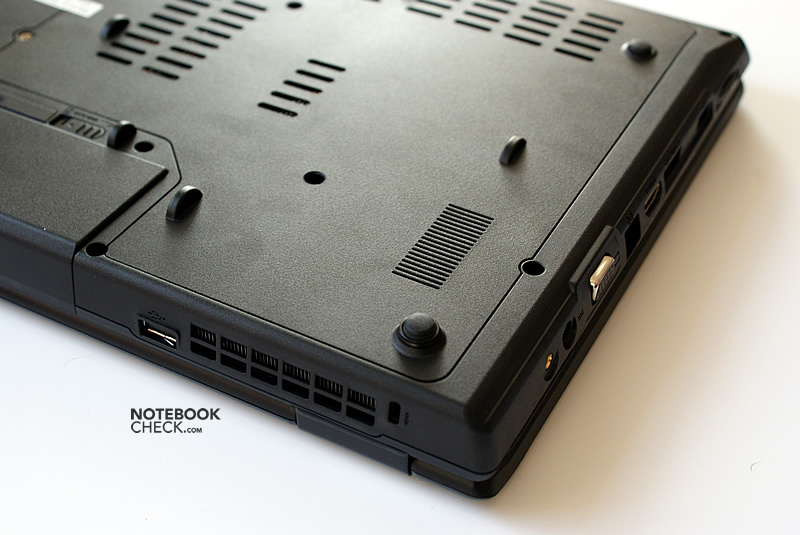 The hinges are exceptionally wide for a MSI model, letting the drawbacks so often criticized in cases of former models from this manufacturer pale into insignificance. The screen was constructed in a sturdy manner, making it possible to move it in a convenient way; moreover, the lid offers a well-balanced resistance while opening it. The EX625 weighs less than most of contemporary 15.4-inch laptops – nearly 2.6kg including the battery. The frame surrounding the screen drew our attention as well with its impressive slimness. However, the lightness has been attained at some expense. A large service cover at the bottom is made of thin plastic, which is prone to some spring deformations to a rather noticeable extent. A guarantee seal has been stuck over the edge of it - however, one should not be worried about that as the user is allowed to exchange or install new components on his own without violating the warranty (as long as it is done skillful enough not to break or damage any components). As a matter of fact, the transport security seal we are talking about is to guarantee that the laptop arrives at the user without having been opened. To be honest, we find this solution a bit strange and unnecessary. The MSI EX625 features a full-sized keyboard with an additional numeric pad. Unfortunately, there are a few shortcomings regarding the key's arrangement. 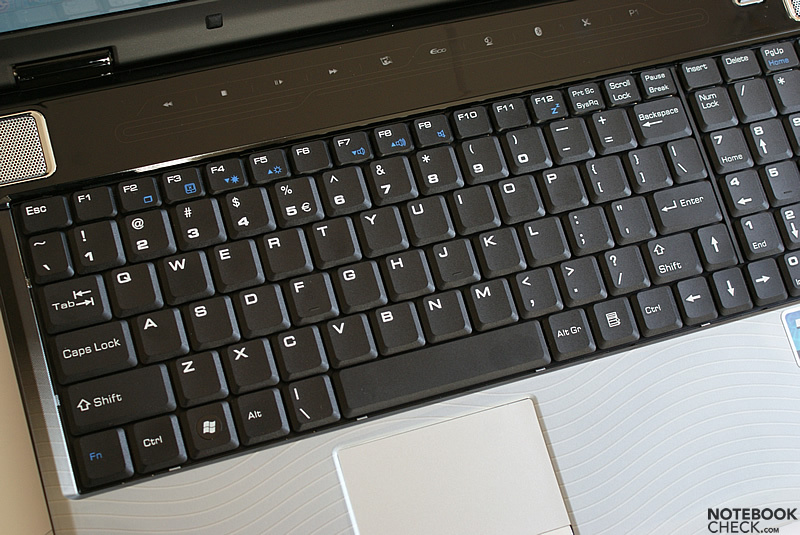 The Fn key has been placed as the first key from the left in the bottom row, and the right shift key is small. Besides, it is worth mentioning that the comma, dot and slash keys are of normal size finally. However, one does accidentally press it instead of the upper arrow key from time to time. Some less disturbing drawbacks include the delete key (placed in way not allowing intuitively pressing it), and a pretty short space bar. The truth is that it takes some time and effort to get used to the characteristics of the keys pressed and to learn to use them for fast typing, mainly because of their long strokes and their low resistance when pressing them. This is very likely to cause numerous mistakes by pressing the wrong key. The keys themselves are rather hard and of short stroke. They do not require much force to press them. The tapping sound they produce is also fairly acceptable. As far as the touchpad is concerned, one can say that its surface is a little rough, resulting in a less than perfect slide. Furthermore, the surface is not pleasant to touch, it feels like stroking starched fabric. 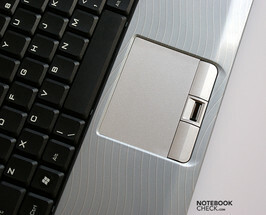 However, the sensitivity and precision of the touchpad are good and satisfactory enough. The area right behind the main keyboard has been used for placing some additional touch sensitive buttons responsible for controlling multimedia playback, turning on the wireless modules and the installed camera, activating the Cinema Pro mode and the power saving function (Eco mode). The programmable button is placed on the same panel. Its responsiveness and speed are just fine. 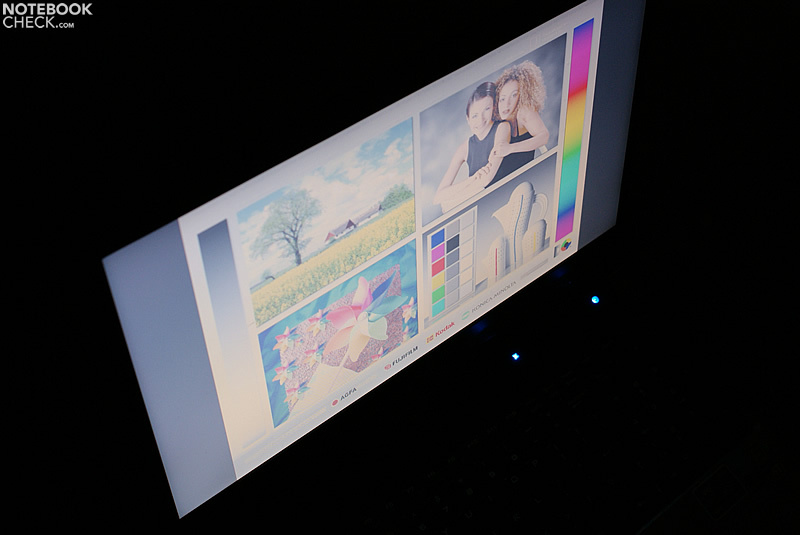 The MSI EX625 features a glaring 16" display with a resolution of 1366x768 (16:9), manufactured by Samsung. 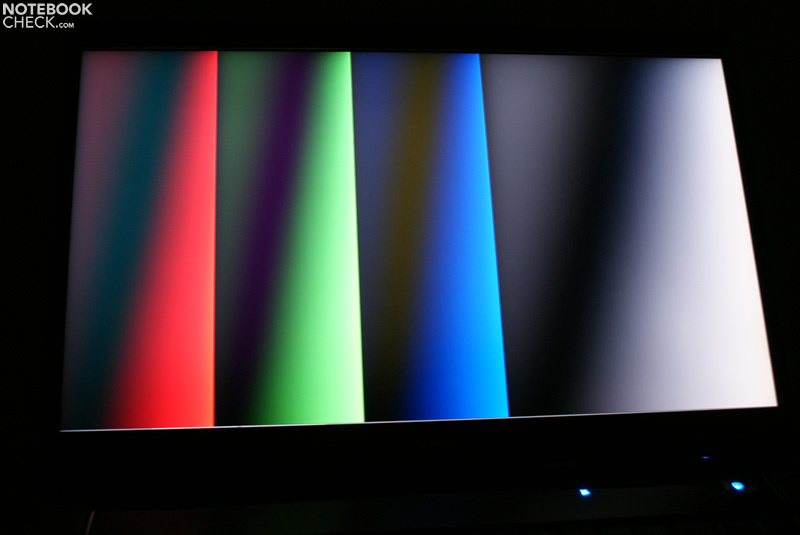 Previous MSI models were somewhat lacking brightness, but luckily the EX625 does not have this problem anymore. 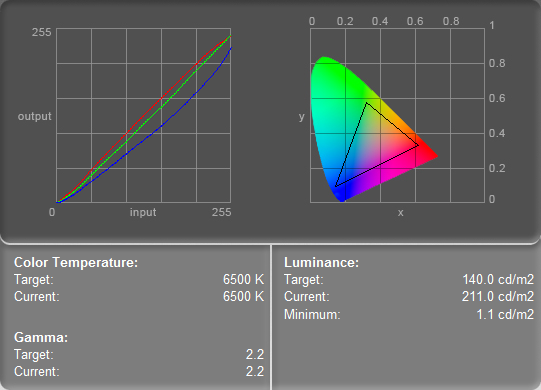 The average illumination value with the backlighting set to its maximum reaches a value of nearly 190 cd/m². The contrast's value, on the other hand, is not impressive at all with its 187:1 ratio (an average result). 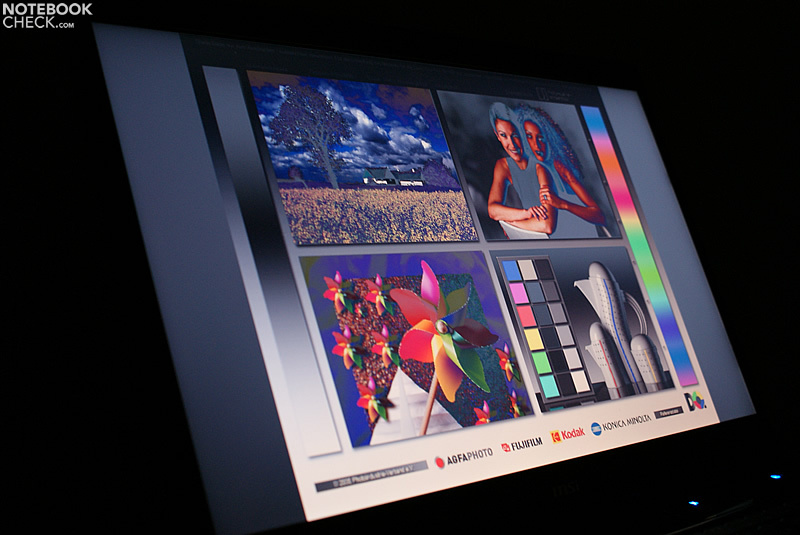 The screen offers good and vibrant colors. White has a bit of a blue tint, but the image is absolutely clear, and there is no visible grain effect. Black does not spark any excitement, but looks alright. 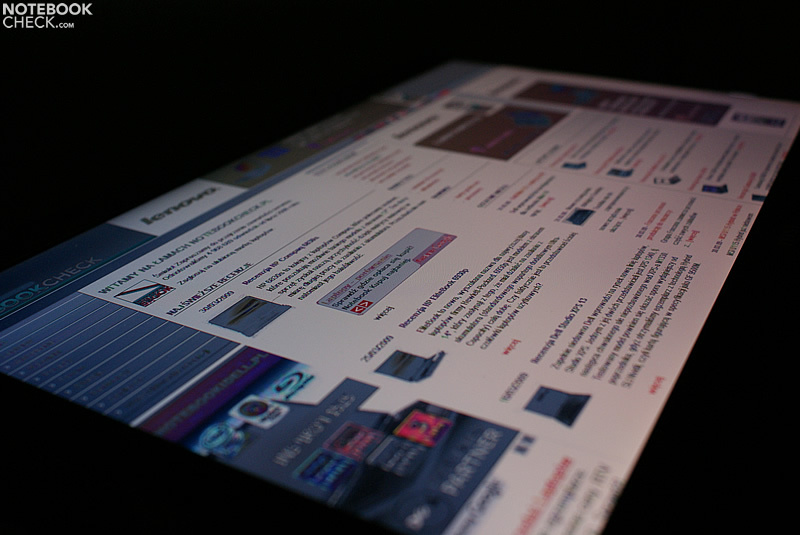 The viewing angles leave much to be desired, especially with the display being tilted vertically. 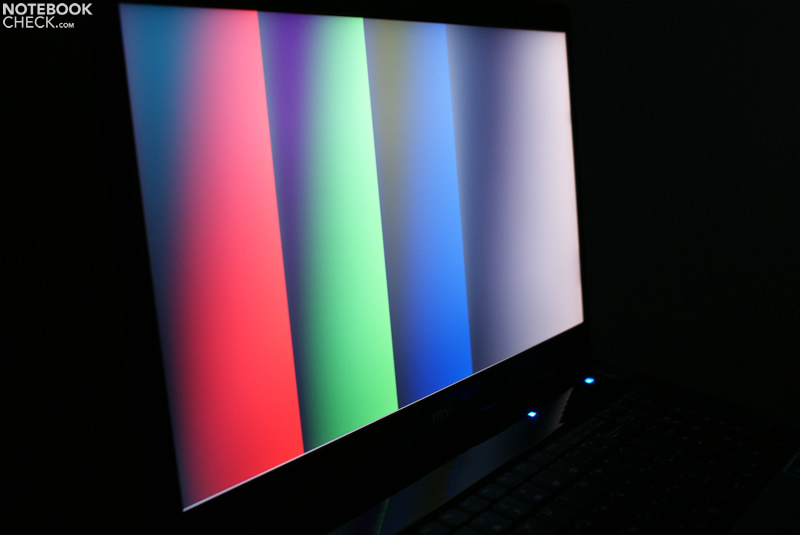 The first color changes can be noticed at a deviation of about 15 degrees. 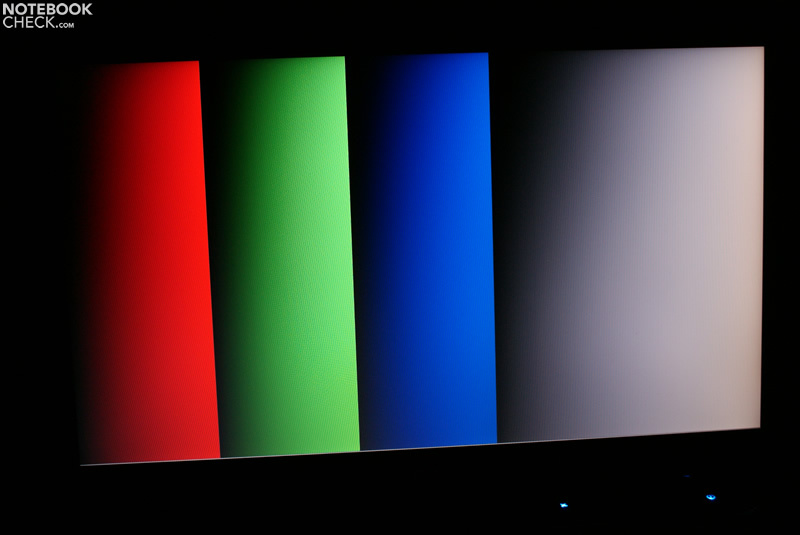 Horizontal viewing angles are just slightly better, it takes a deviation of 50 degrees before the image gets distorted. 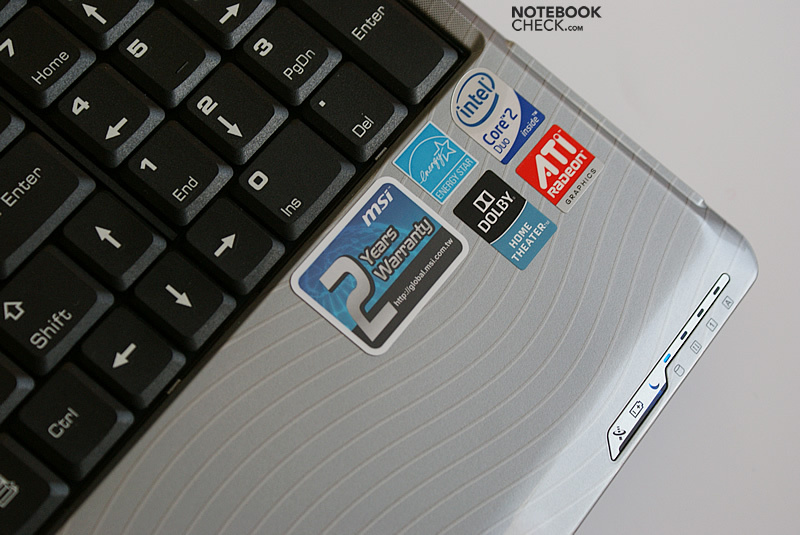 The MSI EX625 is available in two versions: the first one is equipped with a Core 2 Duo T6400 (2.0GHz), while the second one (the tested model) comes with a Core 2 Duo P8600 (2.4GHz). However, the price difference is large enough for us to advise buying the cheaper one. Thanks to the information gathered from the users of the model featuring the T6400 CPU, we are able to say that the performance gap is not significant (6900-7200 points in 3DMark06 at a resolution of 1280x768 in the case of the T6400 and over 7600 for the P8600). 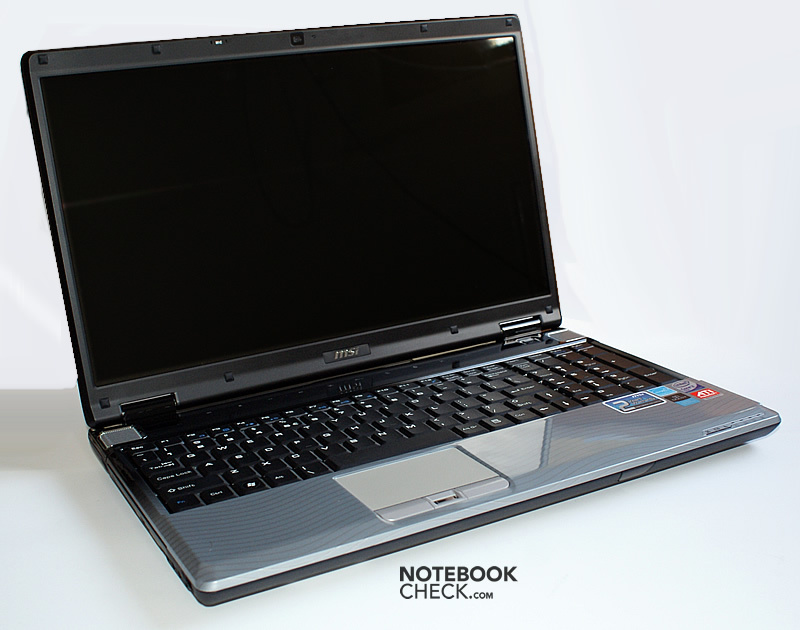 Although the manufacturer does not classify it as suited for gaming, the laptop comes with a pretty attractive graphics card: ATI's Mobility Radeon HD 4670. Although this card is rather mid-ranged, it is still better than the ones available in similar laptops, thanks to its up to date technology. Seen from the technical point of view, the card is actually the Mobility Radeon HD 4650, known from the Compal KHLB2, but its chip and memory clock rates are better. The 55nm GPU is based on the RV730 chip, featuring 320 stream processors (including 64 five-dimensional shader cores). Their clock frequency amounts to 675MHz (550 in comparison to the HD 4650) and 800MHz for the GDDR3 memory (1600 effectively). The card is also compatible to the MXM standard; unfortunately, its replacement seems difficult, due to the small dimensions of the installed radiator. 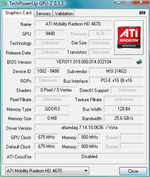 Overall, the ATI HD 4670's performance is sufficient for playing most of the latest games at acceptable settings. The current benchmark results are listed below. The MSI EX625 runs at the same noise level as the older MSI GX620 (with a weaker GeForce 9600M GT) did, resulting in acceptable conditions for both work and entertainment. Unfortunately, the fan runs at all times; however, its sound is rather faint during normal use, reaching a value close to 34dB and making it comfortable enough not to be disturbing. The noise level remained comfortable under heavier load as well: the maximum noise level amounts to a modest 38dB with the fan humming quite intensively, but without being bothersome. 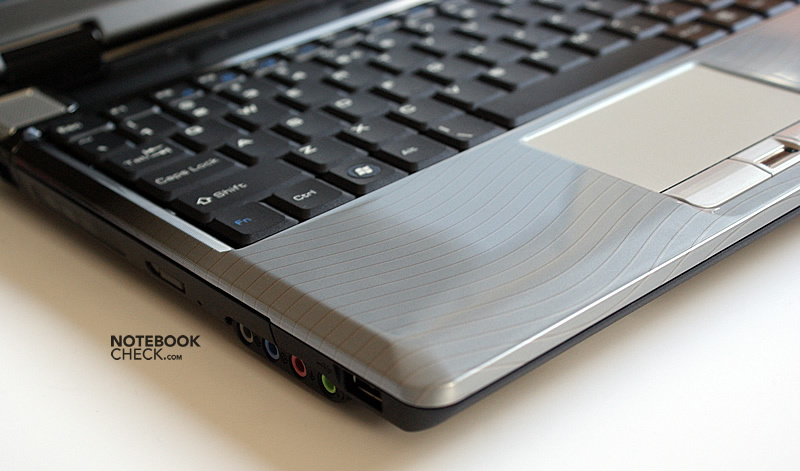 The laptop case warms up less than the Compal KHLB2 (with ATI's MR HD 4650). After three hours of testing at 21°C surrounding temperature, the values for the area around the palm rest reached 37°C, and almost 40°C at the bottom of the case. 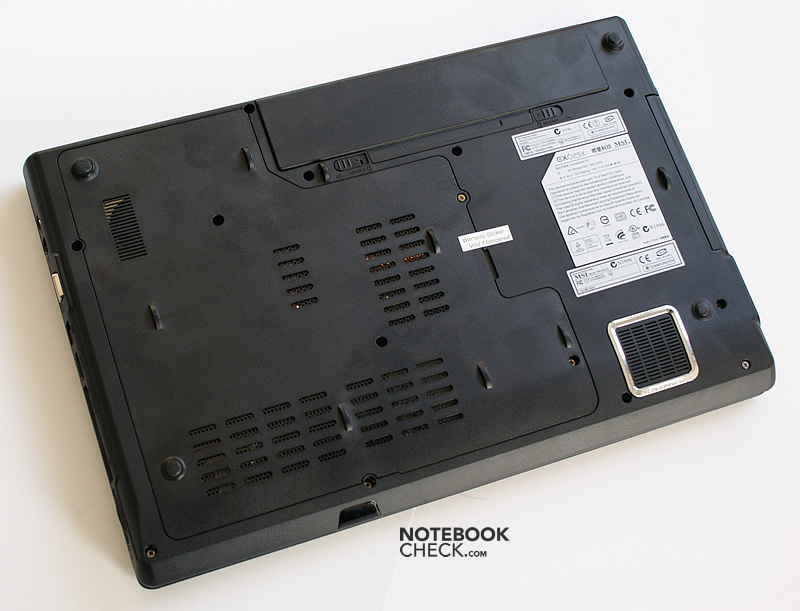 The next test carried out at 23°C surrounding temperature indicated the spots to be warmer (2-3 degrees), with the maximum value of the laptop's bottom side remaining unchanged. 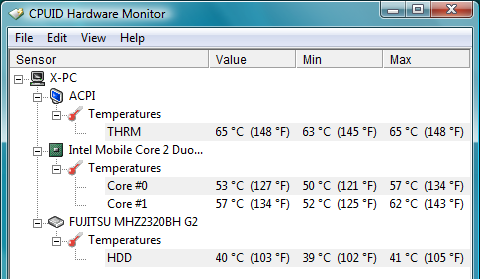 The graphics card reached the value of about 80°C under load, while the main processor heated up to about 70°C. The MSI EX625 could deal with higher temperatures, but the relatively small radiator prevents that. 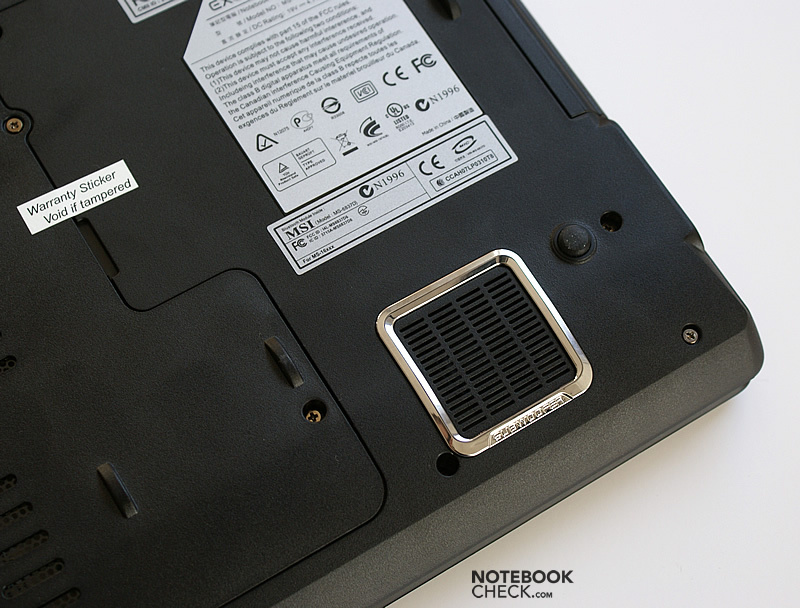 The MSI EX625 features speakers with a sub-woofer. The setup results in a quite tuneful sound, however just after activating the Cinema Pro mode, which switches on the installed bass. The sound then gains timbre and a wider frequency range. The sound is also pretty clear and well-defined. The MSI EX625 was given a battery of rather low capacity (4800mAh, 54Whr), which achieved a maximum run duration of 3.5 hours (216 minutes with Turbo Battery mode on, and 204 minutes in power saving mode). Activated WiFi gives the user 2.5 hours before the connection abruptly closes. First of all, the graphic cards performance the laptop offers is mostly better than the one to be expected from similar models at this price range. Available benchmarks indicate a noticeable advantage over Nvidia's GeForce GT 130M. Secondly, there are two components contributing to the lack of heat and noise emissions – the 55nm GPU from ATI and the 45nm P8600 processor, based on Intel-technology (featuring reduced heat emission). Additionally, the EX625 is able to run for up to 3 hours (with network connections up) using its built-in battery. The 16:9 display's rating might be a little confusing: in spite of the limited vertical resolution, it works just great for the multimedia purposes. Moreover, the level of brightness leaves all previously tested models from the Chinese manufacturer (e.g. the GX620) behind. The narrow viewing angles are weak points that have to be mentioned. Potential buyers will most likely depend on the quality of the general build to make their final decision on purchasing the EX625. 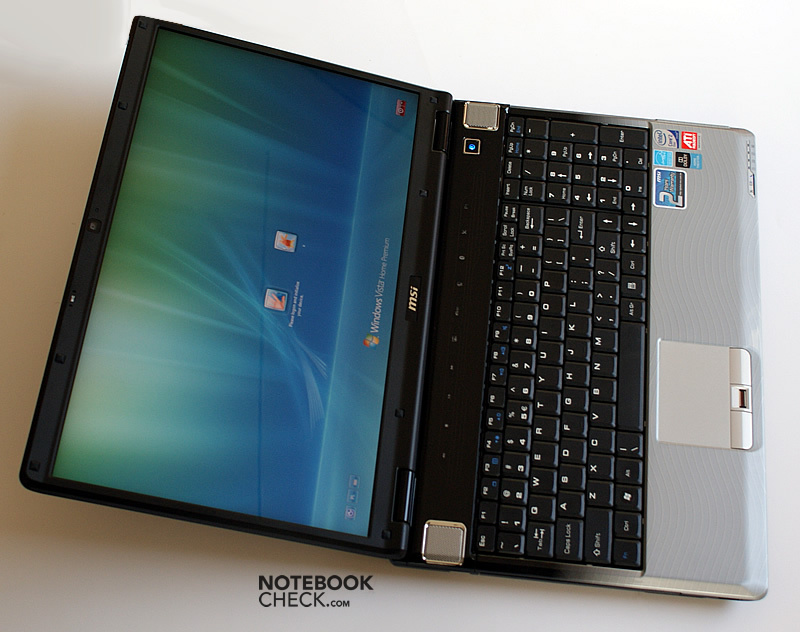 Although the quality is still not as good as in the case of the Lenovo Y530 or the Dell XPS 16, the EX625 reaches a solid standard, as known from the Asus N50Vn. Another questionable issue is the way in which the impressively low weight of this laptop was acquired: by using a thin and prone to curving plastic in selected areas of its case. The biggest disadvantage of the EX625 is its keyboard, but one has to say that the size of the keyboard and the keys' arrangement are better than those of previous models by MSI. 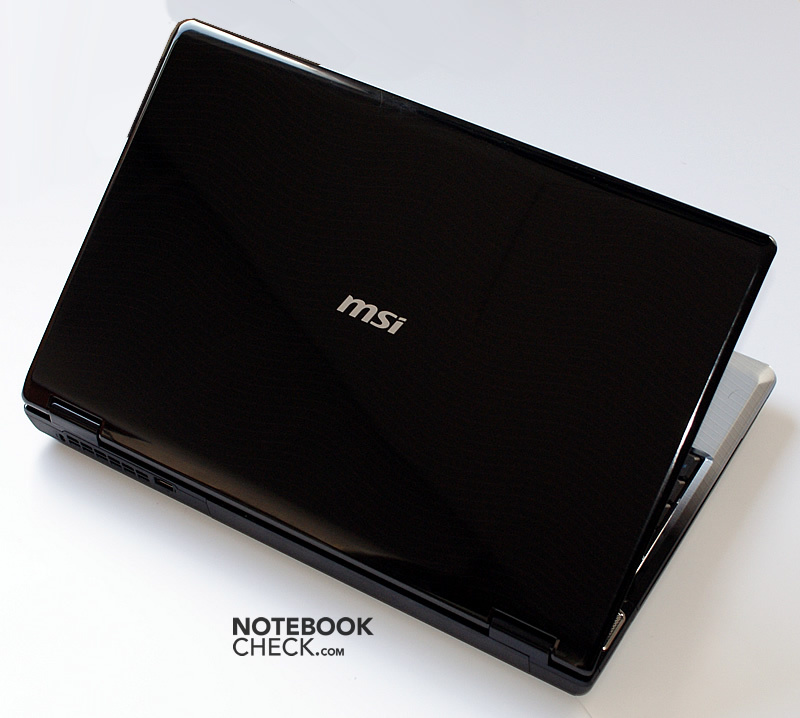 MSI EX625 is the first available notebook featuring ATI's Mobility Radeon HD 4670. ... and it also does not emit too much noise. If one looks closer, there is a warranty seal; however, it should not be disturbing, as the user is free to upgrade or exchange the hardware. The sound system has a subwoofer included, therefore the sound is acceptable. 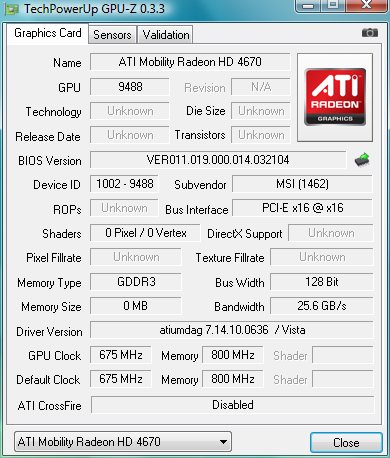 ATI's HD 4670 GPU proved to be more powerful than the competing GeForce GT 130M. 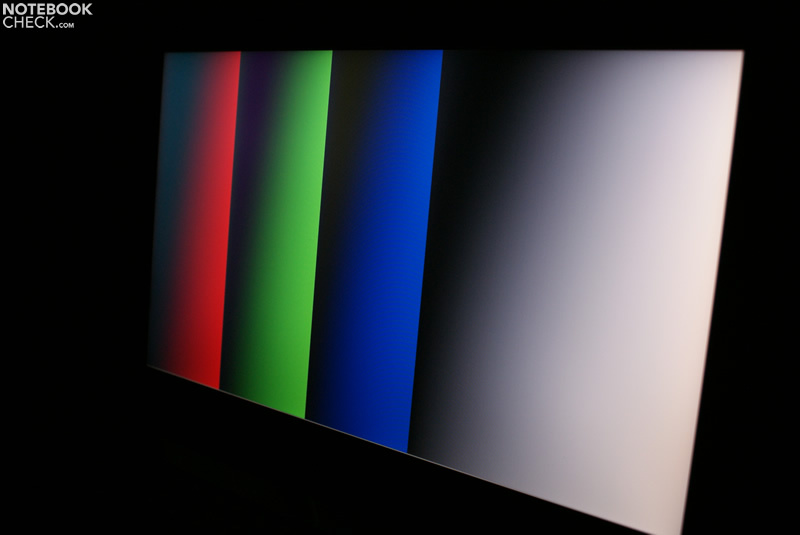 The display features relatively well saturated colors, a bright image, but a below-average contrast ratio and mediocre viewing angles. The keyboard has a separate numeric pad, but its layout is not very useful. One noticeable part of the EX625 are the curved loudspeaker grills. ... and a dark one on the lid. 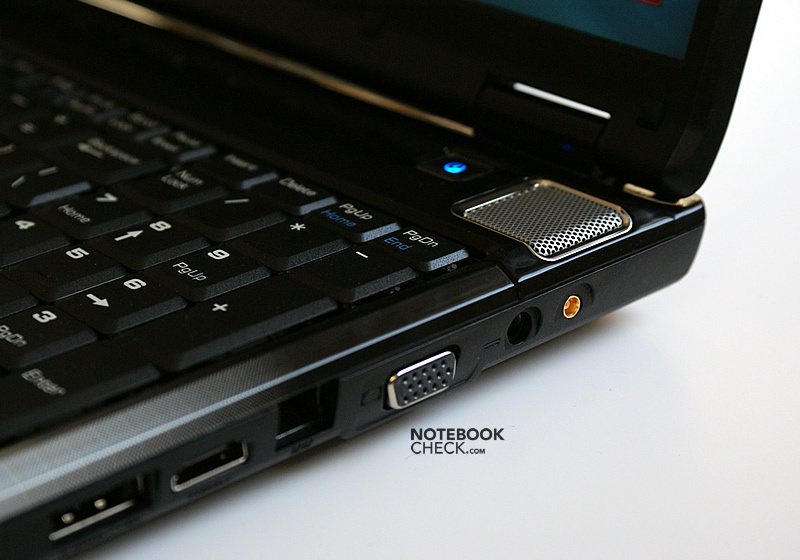 The shapes of this notebook resemble some HP Pavilion or Asus models. It is of rather low weight and has a 16" screen in 16:9 format. 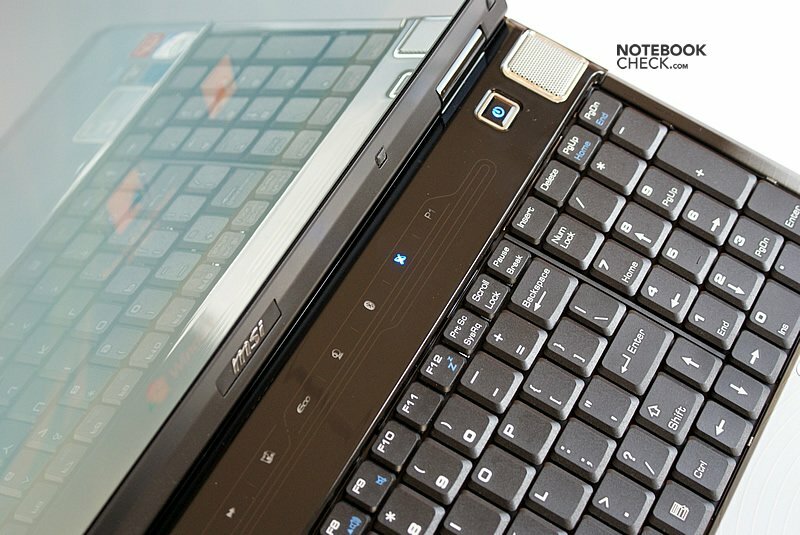 The battery life is decent for a MSI laptop, but some competing models are better in this field.